Nano Biomedicine and Engineering (Nano Biomed. Eng.) is an open access, international, peer-reviewed journal. 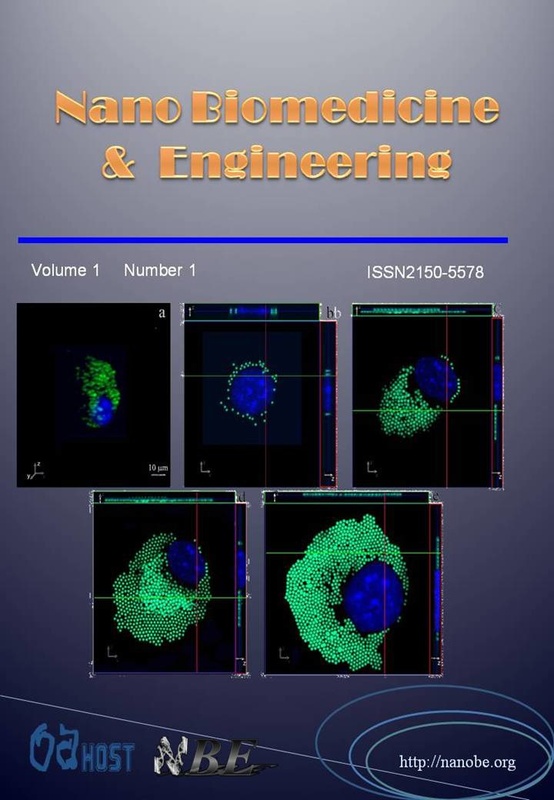 Each quarterly issue of Nano Biomed. Eng. presents basic, clinical, and engineering research in the interdisciplinary field of nanotechnology, biology, medicine and engineering. 1. Synthesis, safety evaluation and clinical application of nanobiomaterials. 2. Nanoscale diagnosis technologies, including nanoscale chips, microfludics, nanodevices and molecular imaging. 3. Nanoscale therapeutic technologies, including targeting therapies based on nanomaterials and nanoeffects, the design and synthesis of nanoscale drugs, drug delivery systems. 4. Stem cell nanotechnologies, including experimental, clinical, engineering studies. 5. Pharmacologic, toxicologic, and dynamic, metabolic nanomedicine. 6. Regular features will address the clinical translation of nano biomaterials and products, the ethics in nanomedicine, and other topics of interest to researchers and clinicians. 7. Nano/Micro Engineering: nano/micro fabrication, nano/micro measurement, nano electro mechanical systems (NEMS), micro electro mechanical systems (MEMS), nano/micro sensors, nano/micro devices. The rise of the open-access publishing model benefits the world with its scientific contents freely accessible via the internet, but leaves the authors suffering from bearing the cost of publication. Nano Biomed. Eng. is an open-access journal, and to support our authors, the journal goes one step further -- publication charge for their accepted papers is free. This is made possible through extensive volunteerism and sponsorships. The journal also offers you very fast speed of review and production, without compromising on the quality of our peer-review process. Current average time from submission to acceptance is 4 weeks. Accepted articles will be published online rapidly. Nano Biomed. Eng. is abstracted and/or indexed in the following services: Directory of Open Access Journals (DOAJ); Google Scholar; Pub Med; Medline, Scopus. We invite authors to submit original research articles, letters, communication and review papers through ScholarOne online submission.